KJJ has 37 years of construction experience, and is a registered Small Business Enterprise (SBE). 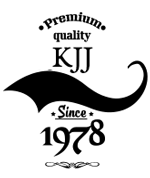 KJJ provides unparalleled project quality and exemplary service. We sweat the details for you. We are ready to work along with architects and/or engineers to ensure your project is correct. Five Generation Bakers in McKees Rocks, PA, general contractor KJ Johnston Ltd. Since 1978, KJJ has been servicing the Greater Pittsburgh and the Tri-state areas. We design & install high tech electronic equipment for automated manufacturing. From preliminary conceptual budget estimates and partnering with project architects and engineers to design assistance, review and value evaluation, K.J. Johnston, Ltd. provides consistent and reliable communication throughout projects. For more information about our services, please feel free to contact us. We look forward to hearing from and working with you.